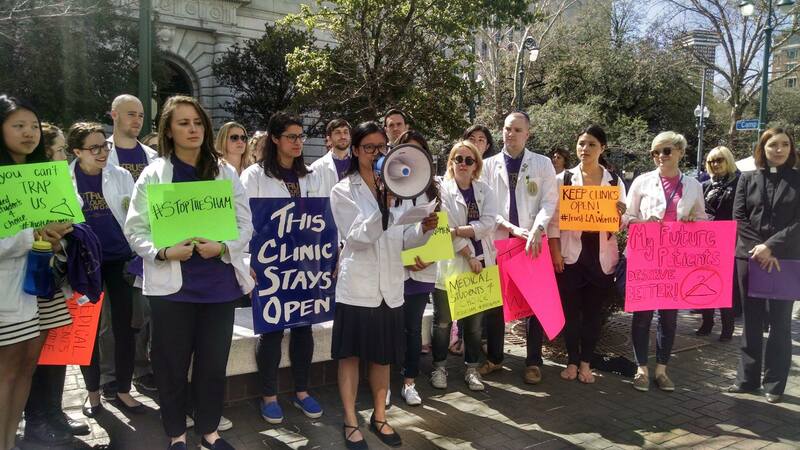 NEW ORLEANS — Last night, the Supreme Court granted an emergency stay to block a law from taking effect that would have shut down some of the last three abortion clinics in Louisiana. The law, set to take effect on February 8th, requires physicians performing abortions to have admitting privileges at a nearby hospital. The justices voted 5-4 to grant the stay, with a dissenting opinion from Justice Brett Kavanaugh. The Supreme Court’s decision comes as a response to the 5th Circuit’s denial to rehear a case brought by the Center for Reproductive Rights upholding a decision that flies in the face of the precedent set by a nearly identical case in the neighboring state of Texas. In the 2016 Whole Woman’s Health v. Hellerstedt, the Supreme Court ruled that admitting-privileges requirements provide no benefit to women’s health and are indeed unconstitutional. The Center for reproductive rights filed an emergency motion with the United States Supreme Court asking it to block the law in late January. Says Angela Adkins, Legislative Director at Louisiana NOW, "The effect of this denial would have been devastating and immediate. This could have closed most, if not all of the clinics that nearly a million women of reproductive age depend on. The Fifth Circuit judges, many appointed by this administration, want exactly one thing – to take us backward in history". The complication rate for abortions is extremely low. Hospitals frequently deny admitting privileges to doctors who provide abortions for reasons ranging from ideological opposition to the fact that too few of their patients will ever need hospital care. Today’s high court decision halted yet another barrier to access in one of the most restrictive states in the country. Abortion restrictions in Louisiana include a parental consent law, a 24-hour waiting period, and bans on private insurance and Medicaid coverage for abortion. All of which have a disproportionate impact on rural patients, low-income people, women of color, and other individuals who are already disadvantaged by our healthcare system. "More than 1,700 women called our hotline last year for assistance," says Amy Irvin, executive director of New Orleans Abortion Fund, which provides financial help and resources to women seeking abortion care in Louisiana. "The Roe v. Wade anniversary commemorates legal abortion, but it means nothing if abortion is inaccessible. Louisiana needs more healthcare, not extremism." The Louisiana Coalition for Reproductive Freedom works to ensure sexual and reproductive health, rights, and justice for all people through advocacy, law and policy change, and movement-building.